Background: In the middle of the 2019 jump racing season in the United Kingdom, a major rule change that had been scheduled to take effect on February 1 is now postponed. The rule would have required all horses to race with shoes on all four feet. This follows a similar 2016 rule change in flat racing, that similarly required all horses in flat turf races to be shod on all feet, unless a declaration is made 48 hours before the race. Today the jump racing rule change was delayed. The information below was provided by the British Horseracing Authority. Following the receipt of further submissions from the National Trainers Federation (NTF) and individual trainers, the British Horseracing Authority (BHA) has made the decision to delay the implementation of an approved rule which requires all jump racing horses to race fully shod. The rule was due to be introduced on February 1, 2019. The delay is being implemented for a period of no less than six months, in order to allow for a number of actions to take place to further inform the debate on this matter. The decision to introduce this rule was based on a two-year project which included evaluation of data and consultation with representative bodies including the NTF and Professional Jockeys Association (PJA). 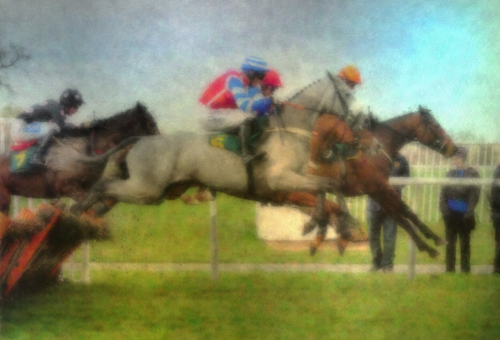 The rule was intended to improve human and equine safety by reducing the chance of a racehorse slipping. The PJA advocated introduction of the rule on the grounds of improved safety for horses and their members. However, subsequent to the rule being communicated to trainers, the BHA has received new submissions from the NTF and individual trainers in which they raise concern about the rule’s implementation. In addition, a delegation of jump jockeys has submitted considerations on the matter, although the PJA remains in support of the rule. The NTF/Trainers who oppose the rule amendment are asked to provide any data or scientific evidence to support their view that there is a greater welfare risk to horses racing fully shod than partially. Following the conclusion of this research, and consideration of further submissions, a final decision will be made around the implementation of this rule. For more information, visit the website of the British Horseracing Authority. © Fran Jurga and Hoofcare Publishing; Fran Jurga's Hoof Blog is the news service for Hoofcare and Lameness Publishing. Please, no re-use of text or images on other sites or social media without permission--please link instead. (Please ask if you need help.) The Hoof Blog may be read online at the blog page, checked via RSS feed, or received via a headlines-link email (requires signup in box at top right of blog page). Use the little envelope symbol below to email this article to others. The "translator" tool in the right sidebar will convert this article (roughly) to the language of your choice. To share this article on Facebook and other social media, click on the small symbols below the labels. 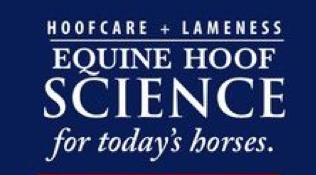 Be sure to "like" the Hoofcare and Lameness Facebook page and click on "get notifications" under the page's "like" button to keep up with the hoof news on Facebook. Questions or problems with the Hoof Blog? Click here to send an email hoofblog@gmail.com. Disclosure of Material Connection: The Hoof Blog (Hoofcare Publishing) has not received any direct compensation for writing this post. Hoofcare Publishing has no material connection to the brands, products, or services mentioned, other than products and services of Hoofcare Publishing. I am disclosing this in accordance with the Federal Trade Commission’s 16 CFR, Part 255: Guides Concerning the Use of Endorsements and Testimonials in Advertising.